This package is for business professionals who want to form a Limited Liability Partnership (LLP), which combines the best traits of a Partnership and Private Limited Company. It provides more flexibility and still retains a legal identity separate from its partners. 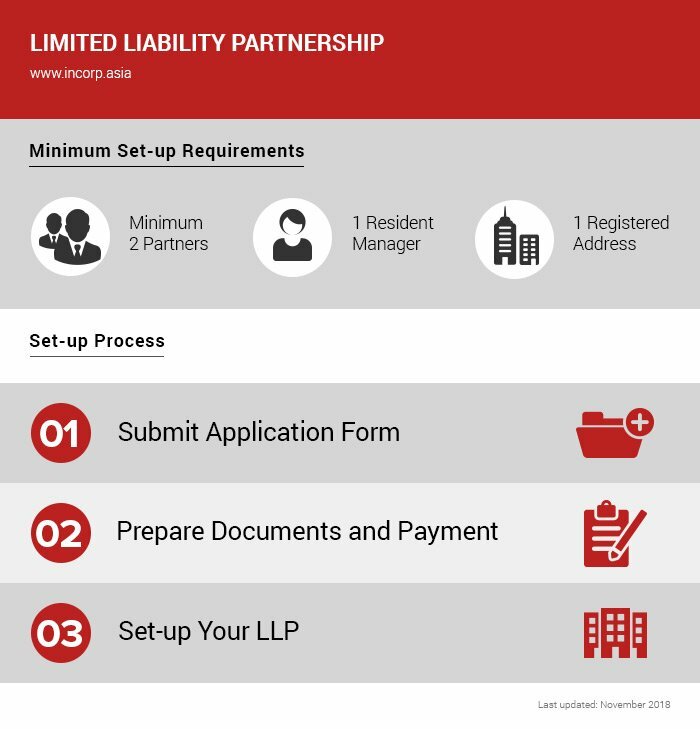 To incorporate an LLP, you must be a Singapore citizen, a resident, or an Employment Pass holder. If you are a foreign individual or company, you can register an LLP, but you must nominate a local manager. Register a Limited Liability Partnership company in quick and simple steps. Let our highly-qualified experts offer you personally tailored advice to incorporate your company fast.